Canadian Wildlife Federation: I'm going whale watching, what should I do responsibly or what company should I look for? I'm going whale watching, what should I do responsibly or what company should I look for? A. Unfortunately, I can’t provide you with recommendations for any particular operator but I can tell you what you should look for in a responsible whale watching company. A responsible whale watching company wants to minimize its disturbance on marine wildlife and will want to educate people taking the tour on wildlife and conservation issues. 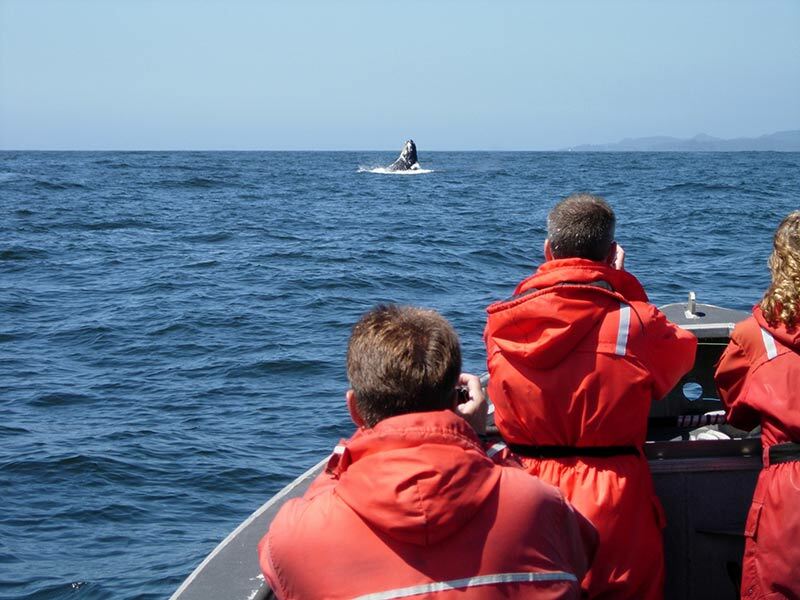 Fisheries and Oceans Canada has a series of guidelines that should be followed to reduce the risk of collisions between boats and whales, to reduce the amount of stress on marine wildlife and to provide extra precautions for species at-risk. Please click here to view these guidelines! When looking for a whale watching company, make sure to ask if they follow these guidelines and if there is a wildlife guide on board. They’re important to follow for anyone viewing marine wildlife, including boaters, paddlers and even drones! Whale watching is a popular activity in Canada and we need to make sure it is being done responsibly to minimize our impacts. Why Is the North Atlantic Right Whale Having Such a Hard Time in the Baby-Making Department? Entanglement is taking its toll on this Endangered species.